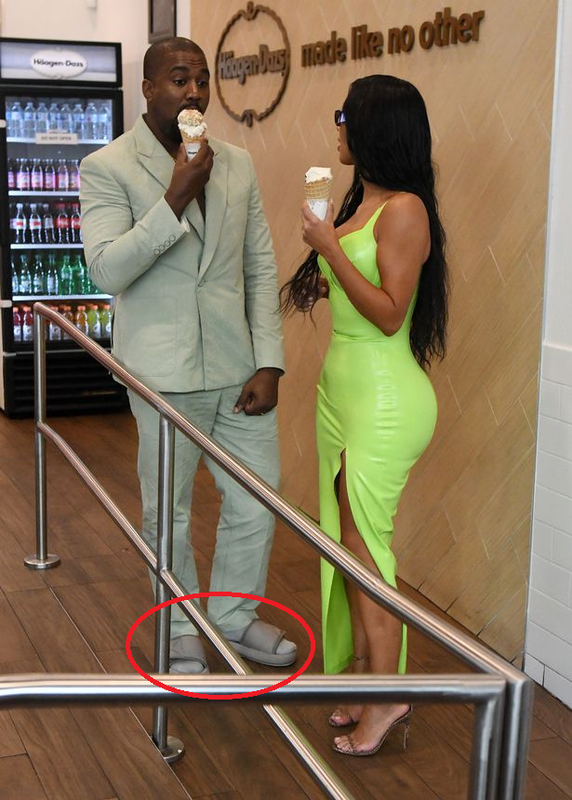 Home / Editor's Choice, Entertainment News, Featured Articles, Gossip and Drama, Photos / KANYE WEST attends a wedding rocking slippers, is this man going mad (PHOTOs). KANYE WEST attends a wedding rocking slippers, is this man going mad (PHOTOs). 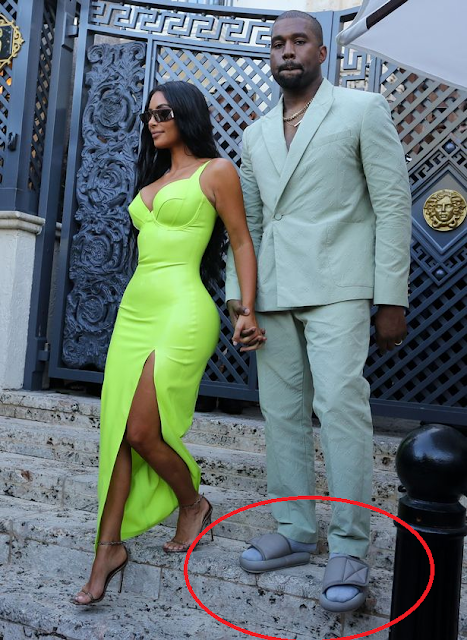 Monday, August 20, 2018 - Controversial rapper, Kanye West, is the talk of social media after he attended the wedding of fellow rapper, 2Chainz, rocking a suit and slippers. 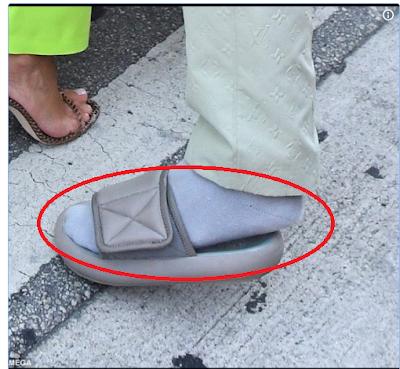 The 41 yr old rapper who has been courting controversies from right, left and centre was rocking Yeezy slippers which appeared too small. The photos have been going rounds on social media and people are now questioning his mental status.